Milorganite is the hottest lawn fertilizer on the market. Who would've thought? Suddenly, this old school, all natural fertilizer that we've carried for years is impossible to find. Here's the story behind it and a couple reasons why this product we've carried forever is absolutely the one lawn product you need to use for a healthy, green lawn. Milorganite is one of the oldest branded fertilizers on the market. It is composed of heat-dried microbes that have digested the organic matter in wastewater. Milorganite is manufactured by the Milwaukee Metropolitan Sewerage District. The MMSD captures wastewater from the metropolitan Milwaukee area, including local industries such as MillerCoors among others. Using large-scale processes that mimic nature, the microbes digest nutrients found in the water. The cleaned water is returned to Lake Michigan while the microbes are kiln-dried into small pellets. So Milorganite is actually a bag of dried and condensed microbes! What's so great about Milorganite? Simply put, this lawn fertilizer is the key to a healthy lawn. 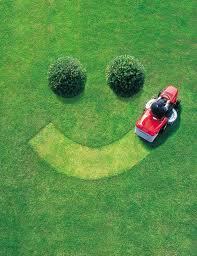 This all natural lawn fertilizer is high in nutrients and nitrogen, all of which are water soluble. This allows the nutrients to be absorbed slowly, as the lawn needs them, with no human intervention. You can read a full explanation of how Milorganite works here, but the short version of the story is that the natural make up of Milorganite makes it long lasting (up to 10 weeks), incredibly dense in nutrien ts, and it won't burn your lawn. It's pretty much the perfect product for lawns and it also makes a great slow-release fertilizer for plants! How did Milorganite get so popular? Milorganite has been available on the market forever, but it's pretty hard to explain to people that the Milwaukee Sewerage remnants are worth paying for. That all changed a couple years ago, thanks to the viral popularity of the YouTube star, "The Lawn Care Nut". If you haven't watched his videos and share his same passion for developing and maintaining the perfect lawn, we highly recommend his channel. His obvious passion for the product finally convinced homeowners to give it a try, and the rest is history. The Barn Nursery will be carrying Milorganite this spring, however, we expect demand to outweigh supply. Give us a call at 847-658-3883 to pre-order this product in order to guarantee availability.